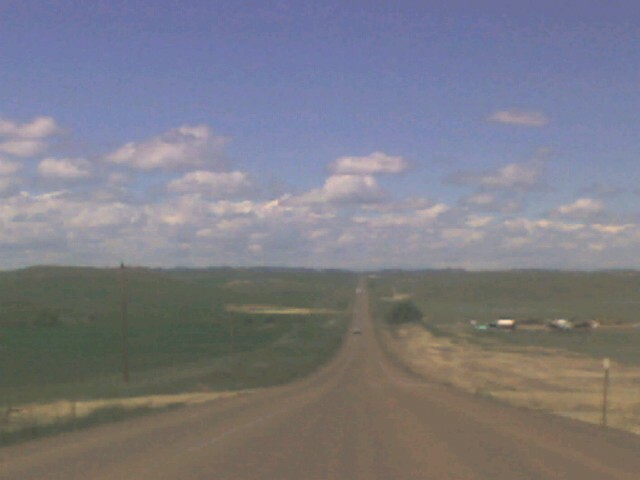 I drove across most of Montana today. Montana means mountain. Mountains mean high altitude. High altitude means snow in June apparently. Blurry, cold, snow. This was at the Continental Divide. It snowed, and rained for most of the day. I decided to take a short cut given to me by Mapquest. It would have saved me about 45 minutes…if the road had been paved the entire way. You cannot really tell from the photo, but that is dirt. The giveaway is that there are not painted lines. Montana is funny. 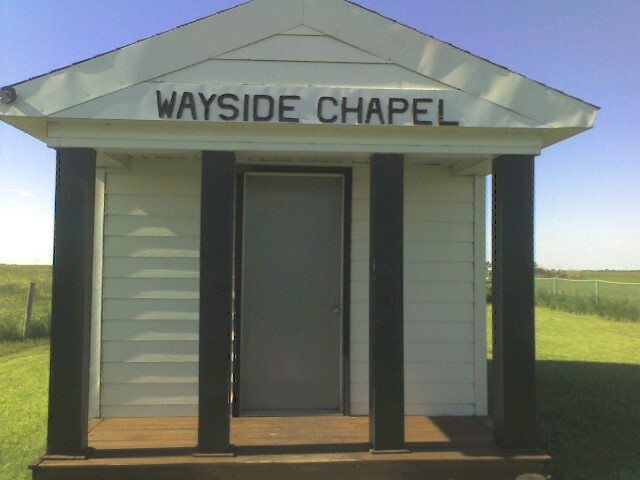 Another small church, possibly smaller than the first. Big Dinosaur skeleton being walked by a human skeleton. This is on the side of the interstate. I had to pull over to get a picture. Who builds these things? 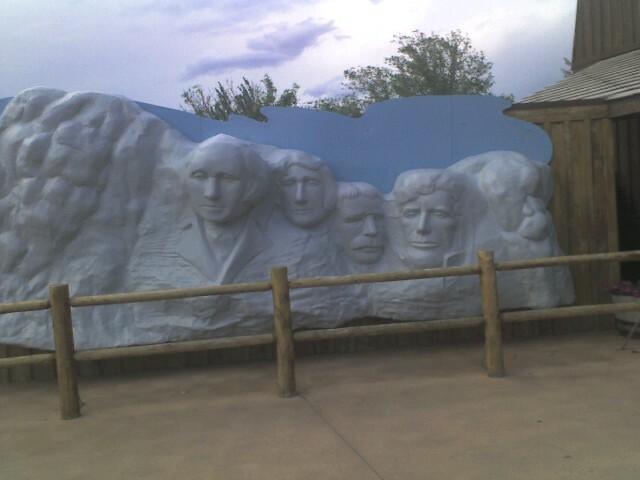 This entry was posted in Blogroll, entertainment, family, food, funner, happiness, health, home, how to, kids, Life, travel, weather and tagged Minnesota, montana, Mount Rushmore, snow, South Dakota, Vacation. Bookmark the permalink. Wow, I hope you don’t mind me saying, but you’re ahem….kind of easy on the eyes there. Just sayin’ is all. Dinosaur is my favorite thing so far. 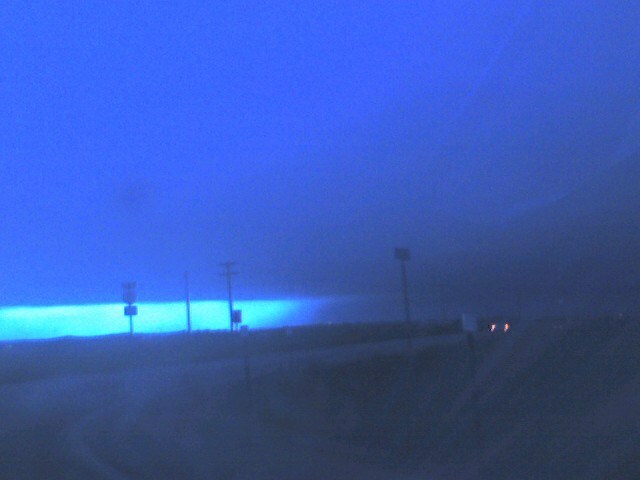 I just wish it was closer to the road so I could get better pictures. That Jack-a-lope looks so strange. It seems like it is photoshopped. So jealous. 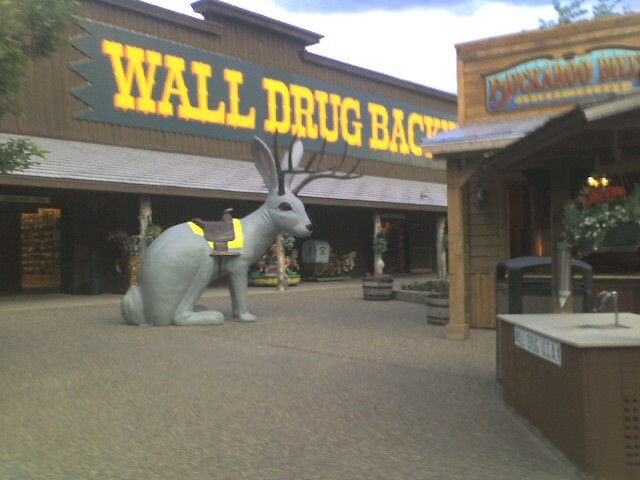 I think I could spend a whole day of vacation at Wall Drug in South Dakota. The only thing missing was a pic of “Roaring T-Rex” and a glass of free ice water! Billy- Yeah. It seems out of place. 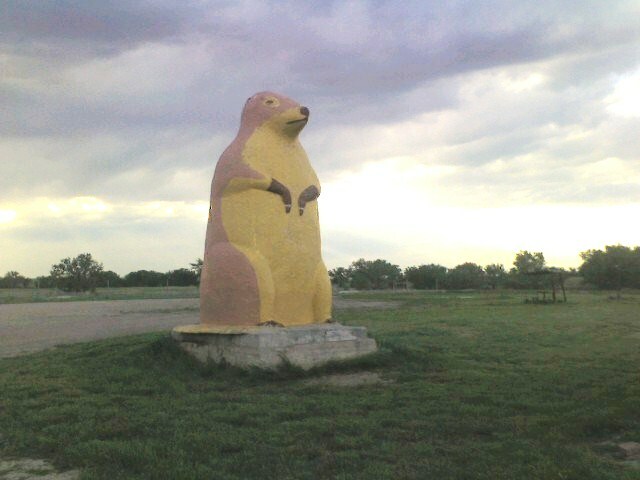 Saint- I absolutely love Wall Drug. The first time I went there I was twelve and we’d been seeing signs for it for hours. I did get the ice water. Also, I got a cup of five cent coffee and a donut. 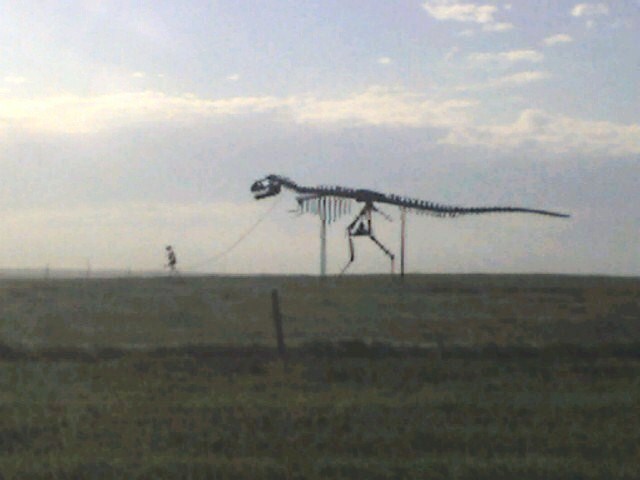 I like the T-Rex skeleton, why can’t we have cool things like that in Colorado? 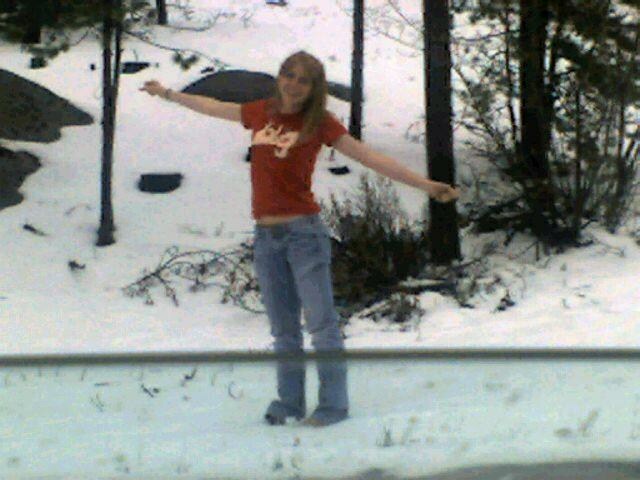 And if it makes you feel any better when we first moved here we went to the Continental Divide in July in shorts and T-shirts in the back of a truck and got caught in a snow storm! Still it was cool to have a snowball fight in July. Great pix. I would have LOVED to get on the back of that there Jackalope. And The T-Rex was darn spiffy tambien. doho- he had the greatest foreign policies. Nice Kristiane. Nice! I lived in Wyoming for a year or so and I remember the jackalope thing. I’m loving the pictures. Don’t stop taking them. I love taking pictures of random stuff next to the high way! It’s the best part about road trips. Oh man…I’ve missed out on a chunk of this trip. This looks like a road trip of cinematic proportions…at least one that yields some real nice nuggets for future memoirs/short stories?